At the end of January this Traveler spent about 24 hours near Ocean Drive State Park in Newport, RI. 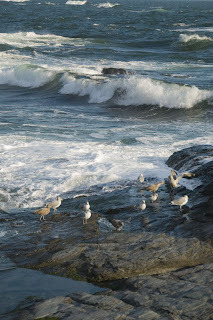 I love the Atlantic Ocean in winter in all its moody unruliness. Its moods change from moment to moment. Gray calm to smashing blue and green and every color in between. 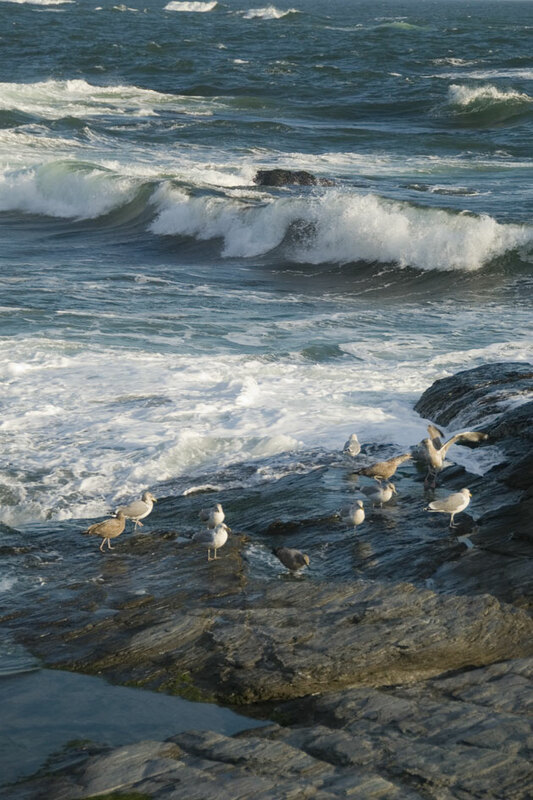 Many water bird species overwinter along the coast here. Harlequin ducks are seen each year in greater numbers. 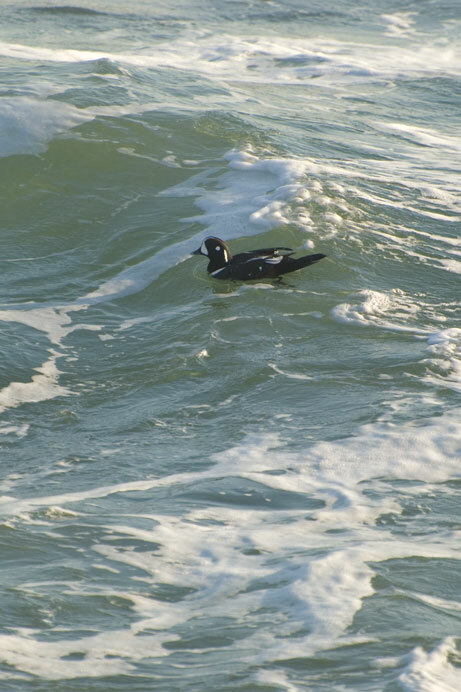 Along with the usual suspects (the usual gull species) out in the waves in large flotillas were Eider Ducks, little Buffleheads, and various species of Scoters. 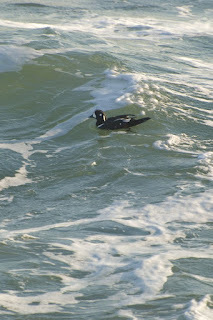 Harlequin Duck diving for dinner amongst the crashing waves. Thank you for sharing. Your photography is stunning! Really nice clicks by your lens.